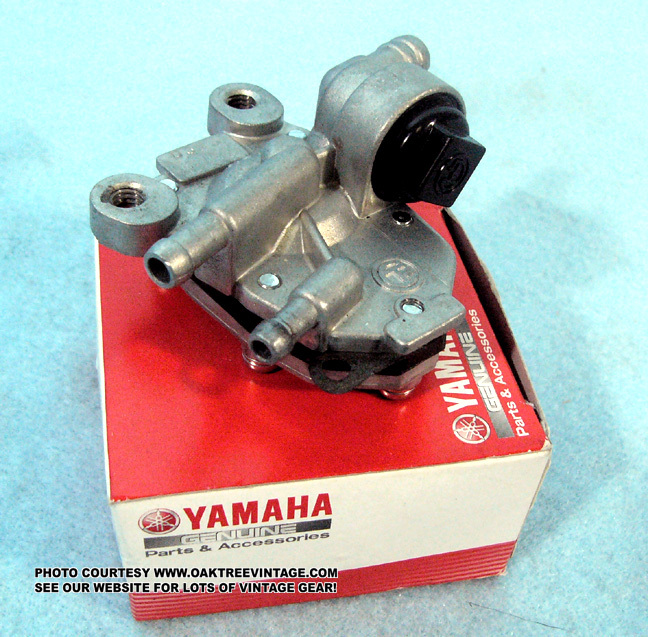 Used Yamaha Riva-180, XC-180, XC180K, XC180KC, XC180ZN Scooter / second hand Motorcycle Parts / Motorbike Spares such as Starter, Ignition Box, Stator / Flywheel, Rectifier 12 volt CDI / Ignition box (type TID11-06) 25J Rectifier (2J2-A0 / SH535). Yamaha Riva-180, XC-180, XZ-180, XC200 XC-200, XZ-200 Coil - 12V CM11-61 Stator / Flywheel (FL118-05), wheels, tires, shocks, handlebars, seat, lights, body panels, kick stand etc. Ok, here's the deal. 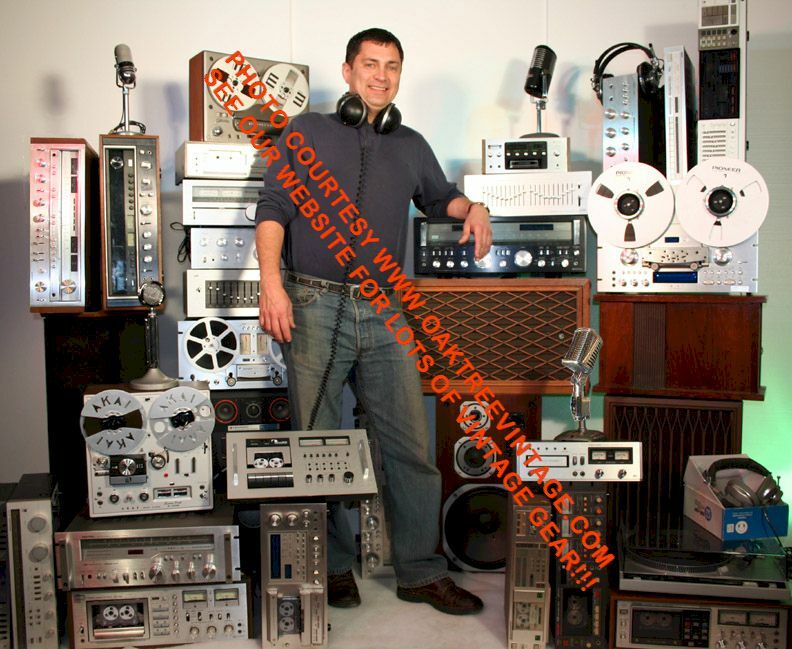 These are used parts from salvage 1983/84 XC180 Yamaha Riva bikes we have collected for ourselves over time and it's all we have. If you don't see it here, we don't have it! Sorry. 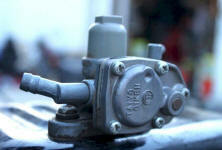 Fuel Gauge sending unit - $35. 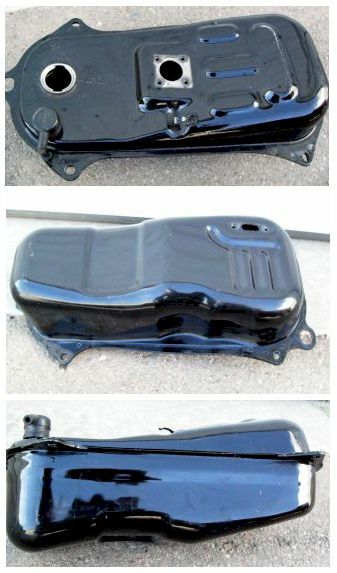 Air box, Internal Box (all good cond.) 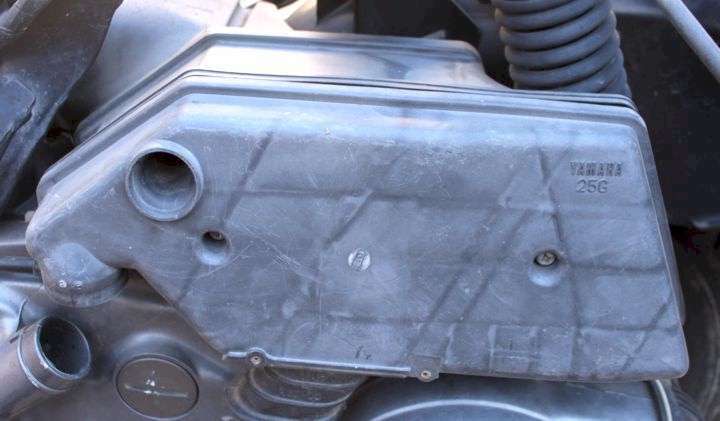 (less rubber connection hose) - $25. 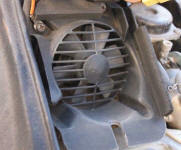 Air box, External Cover (all good cond.) 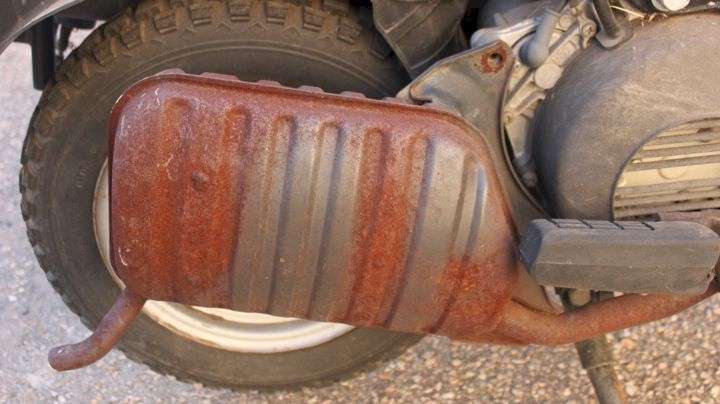 (less rubber connection hose) - $35. Air Hose, Air box cover rubber external connection hose - $30. 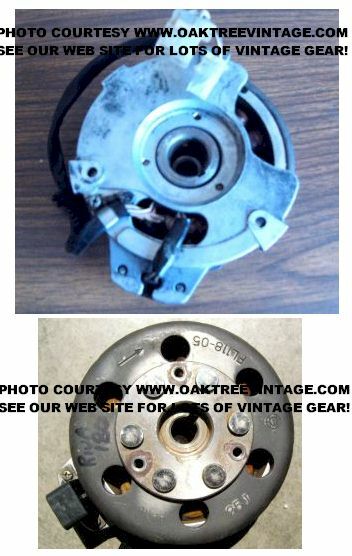 Starter, Yamaha Riva XC180 Scooter 12 volt Electric Starter - $179. 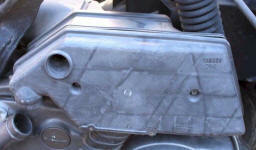 CDI / TCI / Ignition Unit box (type Hitachi TID11-06) 25J - $125. 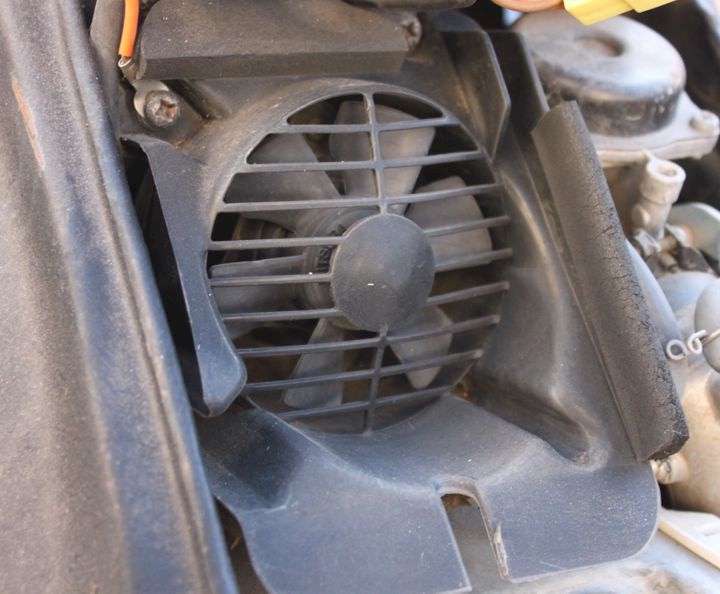 Fan, 12 volt Cooling Fan (w/ PM-3 PM3 12 vdc Mitsuba motor) - $55. Horn, 12 Volt Yamaha Riva Scooter Horn. 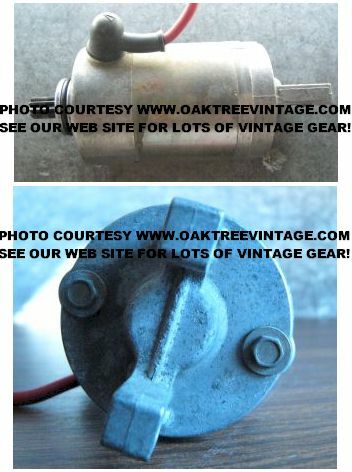 "NIKKO DGM 14501KA TPAR 820 CH2053 12V / 2.5A 105dB, YF-12" Works - $30. ea. Wiring Harness, Main Wiring Harness / wire loom. Will need some TLC, as there's some frayed wires, and 'weather cracked' Molex connectors. - $55. ea. Solenoid Valve, SAJ (connected w/ Lg and Br wires)- $25. Left Switch Cluster / Mirror thread Casting, YHA223 w/ Lights / turn signal / indicator switch. Mirror threads perfect. - $55. 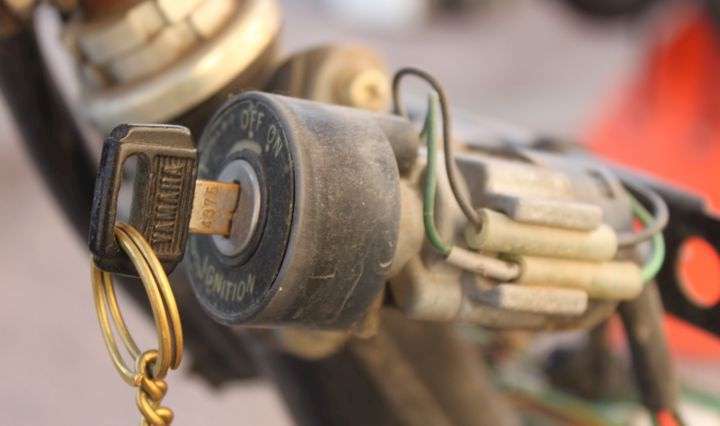 Complete w/ connectors. 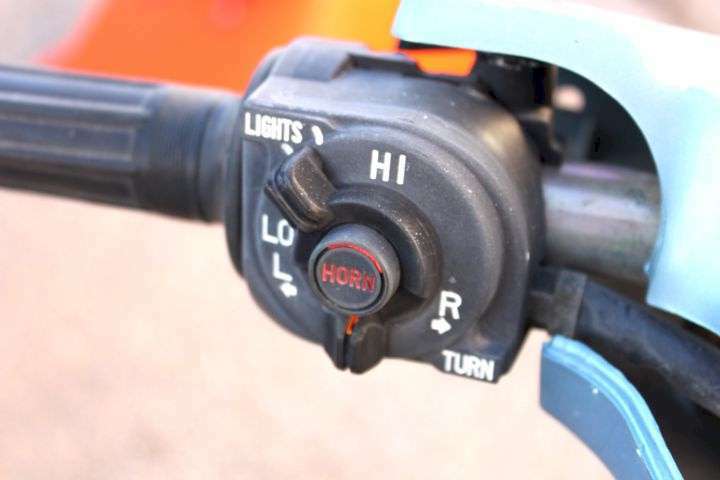 Right Switch Cluster / Mirror thread / Front Brake Lever Casting, Engine / motor Start / Run / Stop switch (mirror threads partially broken out) (brake lever sold separately) - $55. 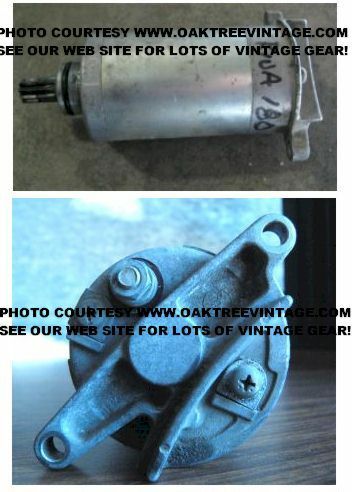 Steering Shaft, Front Steering Shaft / Column (runs from handle bars down to front wheel) - $65. 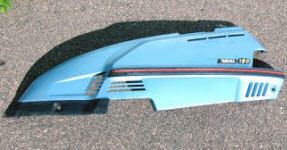 Peg / Foot Rest, Port (Left) side buddy foot peg assembly (all good cond.) - $25. Peg / Foot Rest, Starboard (Right) side buddy foot peg assembly (all good cond.) - $25. Cable, Front Brake Cable (all good condition) - $35. Cable, Rear Brake Cable (all good condition) - $35. 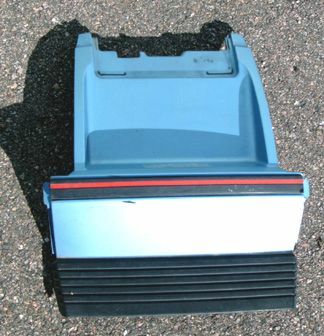 Pedal, Brake pedal pad / top / spring - $20. Lever, Front Brake Lever - $35. Side Cover, Front Side Cap / Cover. ROUGH, but could be 'brought back to life' (chrome plated, plastic) - $20. Hubcap, Front (chrome w/ Yamaha logo) - $25. Hubcap, Rear (chrome w/ Philips screw / bolt) - $25. Front Wheel / Tire, Virtually NEW 'KNOBBY' FRONT tire on wheel. $65. 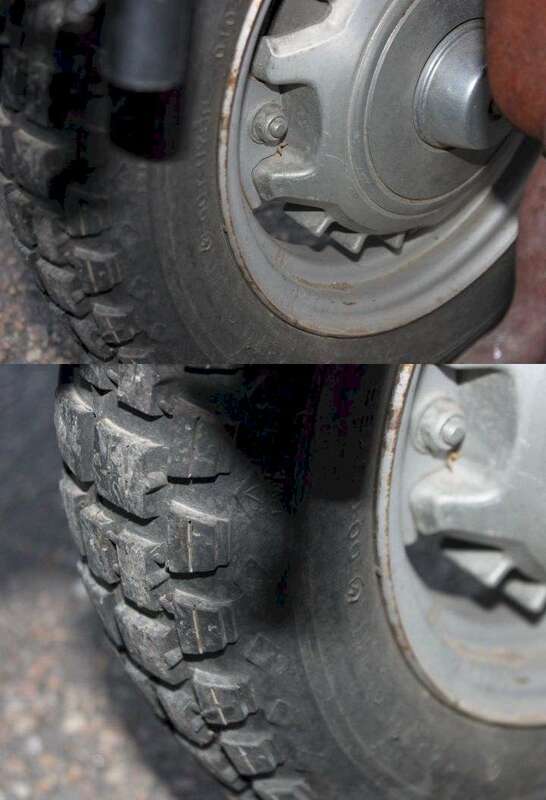 Front Wheel / Tire, Virtually NEW 'KNOBBY' REAR tire on wheel. $65. Head Light, Head Light / Lamp Lens and Bulb / Lamp (Stanley HC-15 12V 43/45 W Stanley 2251 Motorcycle / 001-2251) Works - $30. Head Light Trim / Bezel, Head Light Bezel / Bracket / Aiming mechanism. Metallic Blue - $35. 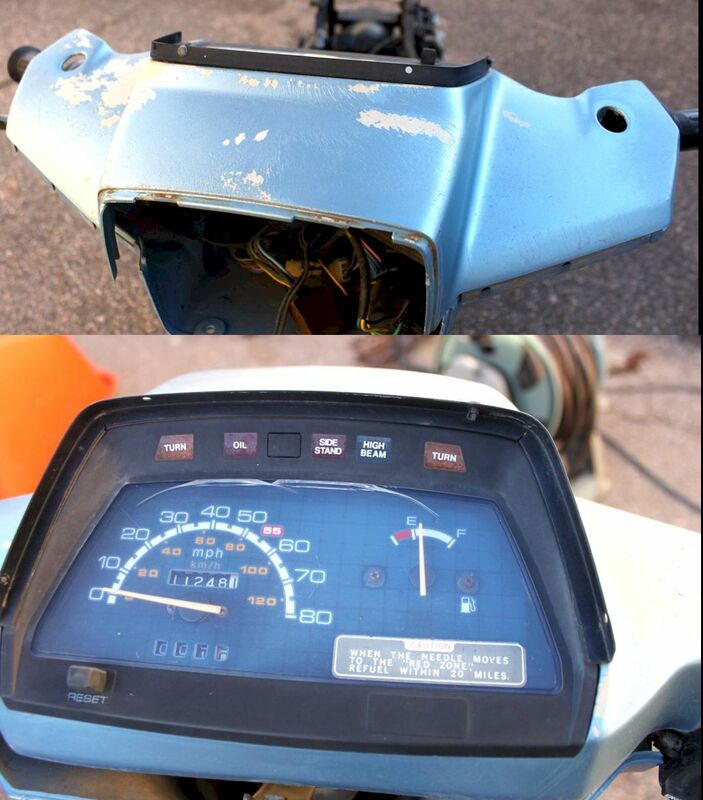 Bracket, Turn signal / indicator bracket - $25. Lens, Tail / Stop light lens Perfect. No cracks / Splits / chips- $35. Housing, Tail / Stop light housing. Metallic Blue. (less lens) - $35. Switch, Kick-Stand Starter bypass Switch - $30. Box, Plastic Battery Box - $25. 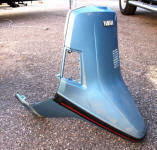 Manual, Yamaha XC180K/KC/L/ZN 1983, 1984, 1985 RIVA Service / Shop Manual. - NFS. 12 volt Electric Starter - $119.